Ukraine oil rig deal: fat cats getting fatter? President Yanukovych makes a show of trying to root out corruption, but a recent government deal to buy an oil rig, with $150 million in kickbacks for officials, has hit the headlines big time. Natalia Sedletska tried to find out more. To enhance Ukraine’s energy independence, domestic production of oil and gas in the Black Sea has to be stepped up. Until now production facilities at ChornomorNaftoGaz, the business arm of the government corporation Naftogaz, were extremely limited: offshore drilling for hydrocarbons took place on two outdated oil rigs made in 1989 and 1995. All over the world rigs like these are custom-made and expensive, so the decision to purchase a new modern rig was a long time in gestation. Finally, it happened and the Energy Minister Yuriy Boyko was even heard boasting of his new toy on TV station Inter. "Today we, I mean Naftogaz, bought the most modern drilling platform in Singapore. It will be installed at the Black Sea oil field of Subotynsky in the autumn", he said. years put personal gain ahead of national interest. It’s not every day that Ukrainian state-owned companies make purchases costing $400 million. 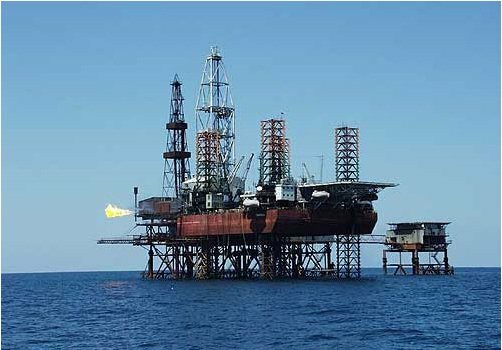 The acquisition of the drilling platform and its price attracted the attention of journalists from the reputable weekly Dzerkalo Tyzhnya (Mirror of the Week). Detailed analysis of the tender procedure led to the sensational conclusion that the real price of the rig on the world market was $150 million less. 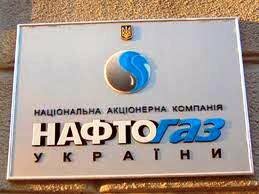 Could Naftogaz have overpaid by 40%? And if so, who pocketed the $150 million? The journalists’ investigation showed that it was those involved in the tender procedure that had the least interest in saving public money. On December 13 2010, Chornomornaftogaz declared an open tender procedure for the acquisition of a floating drilling rig. Applications for participation were accepted from two companies, Highway Investment Processing LLP and Falcona Systems Ltd. The latter offered the rig at $410 million, so they lost the tender. The founders of both companies include offshore companies, but thorough research by Mirror of the Week journalists revealed that both were fronted by the same people, Stas Gorin and Eric Vanahels of Latvia. The names of these two international financial swindlers were mentioned earlier in reports by the American law firm Trout Cacheris that were so devastating for the Tymoshenko bloc. "This scandal is clear evidence of the enormous corruption that now prevails in public procurement in Ukraine. But parliament wants to push it even further into the shadows. According to the adopted new version of the Public Procurement Law, the law will have no control over whatever state-owned companies like Naftogaz want to buy." If we look a bit more closely at the website of the winner, Highway Investment, it becomes clear that the firm is fictitious. Firstly, this page, which can only be called a travesty of a website, was created two weeks before the announcement of the results of the tender procedure. Secondly, it indicates that Highway Investment is a large international company based in Cardiff, Wales, the United Kingdom. But the portal has Ukrainian hosting, i.e. registration, and was developed by designers from the company Delta X in Kyiv. Naftogaz has long been badly in need of new equipment. The tender for a new platform attracted only two dubious companies. According to Ukrainian weekly Dzerkalo Tyzhnya, the winner made a cool $150m profit for doing nothing more than some paperwork. The fact that a supposedly famous British firm originates in Ukraine is proved by another detail: when downloading pictures of the mentioned platforms, files are assigned names that are not very English, the simple tovar1 and tovar2 (translates as product1 and product2 in Ukrainian). But when reporters ran them through a service for similar images, they discovered that these are drilling platforms manufactured by an extremely large Singaporean company, Keppel. Its website is much more informative. It turns out that on December 3 2010, ten days before the announcement of the tender procedure by Naftogaz, the company Keppel had just finished building a new jackup (offshore drilling) rig ordered by their permanent distributor Seadrill. This was the rig that appeared in photos with the names tovar1 and tovar2. It is the class B jackup rig, West Juno. On April 13 2011, after the completion of the Naftogaz tender procedure, Seadrill happily reported on its web site that it had sold the very same platform to an anonymous British buyer. The price – $248.5 million. The secret buyer, it seems, was the offshore Highway Investment Processing, who resold the drilling platform to ChornomorNaftoGaz at $400 million, thus making a profit of $150 million from the state of Ukraine. Getting a meaningful comment out of Energy Minister Yuriy Boyko is difficult because he is very elusive. But when author of these lines managed to catch him at a government meeting and asked where the extra $150 million for the drilling tower had gone, we were vouchsafed the following metaphorical comparison. "Could Naftogaz have overpaid by 40%? And if so, who pocketed the $150 million? The journalists’ investigation showed that it was those involved in the tender procedure that had the least interest in saving public money." “So the complete rig is $150 million more expensive than the basic model?” we asked. “Who said $150 million? You said it, not me!” replied the minister. Yuriy Boyko does not behave like a minister eager to answer the public's questions about the $150 million overspent on his super rig. He talks vaguely and confusedly of gadgets, additional services and equipment that are part of the prepaid order. This, however, is complete nonsense. After all, the result of the tender procedure is printed in black and white - the $400 million bought a floating drilling rig, one unit only. That's all. If there had been additional equipment, it would have had to be recorded. This large-scale "kickback" obviously should have attracted the attention of the law enforcement agencies. Instead, according to Minister Boyko, these agencies should deal with... the journalists. The Minister calls the Mirror of the Week investigation a paid campaign and uses Ukraine’s Security Service to intimidate the journalists. has again proved his poor reputation was not unjustified. There’s more than enough evidence. Highway Investment Processing, the winner of the $400 million tender procedure, is nothing but an intermediary company, a so-called “pad” that was created solely for this purchase and designed to hike up the price of the goods. This is how $150 million was siphoned out of the the Ukrainian budget. It’s obvious to everyone except the Prosecutor General's Office which has not reacted at all to the press article, although it should have immediately initiated a criminal case. This scandal is clear evidence of the enormous corruption that now prevails in public procurement in Ukraine. But parliament wants to push it even further into the shadows. According to the adopted new version of the Public Procurement Law, the law will have no control over whatever state-owned companies like Naftogaz want to buy. What, from whom and at what price state-owned enterprises make their acquisitions, will be decided by the government behind closed doors. In addition, the amount of public information on tender procedures still published by the Journal of Public Procurement will be greatly reduced. However, Viktor Yanukovych recently vetoed the openly corrupt law and asked parliamentarians to add his amendments, as the presidential administration was already under criticism from the European Union and The World Bank. It’s a good thing that expostulations from abroad can at least reduce the appetites of the Ukrainian officials that get fat on government purchases paid for with public money.